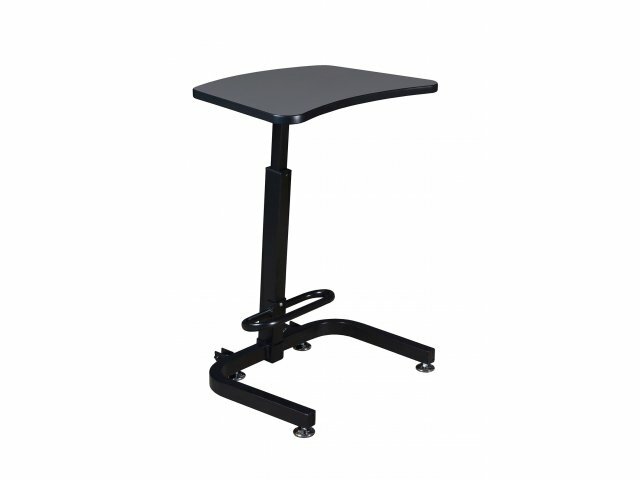 This sit stand desk gives you a very flexible work surface. With the flip of a lever, the desk easily glides from seated height to standing height. This is exceptionally convenient for professionals who like to change positions throughout the workday. 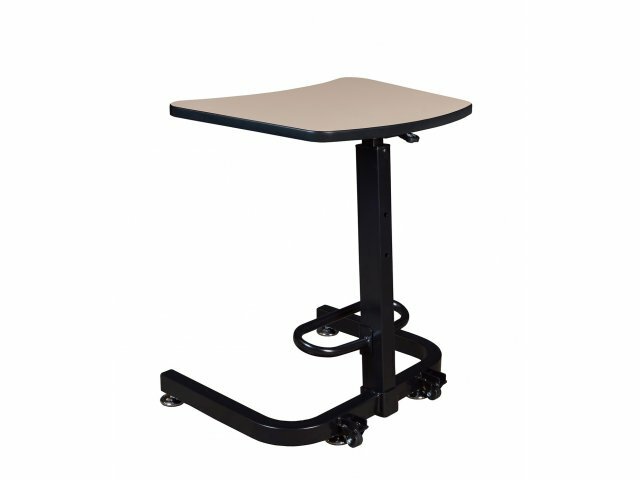 You can enjoy all of the benefits of this adjustable standing desk, without wasting any time on transitions from one position to the other. 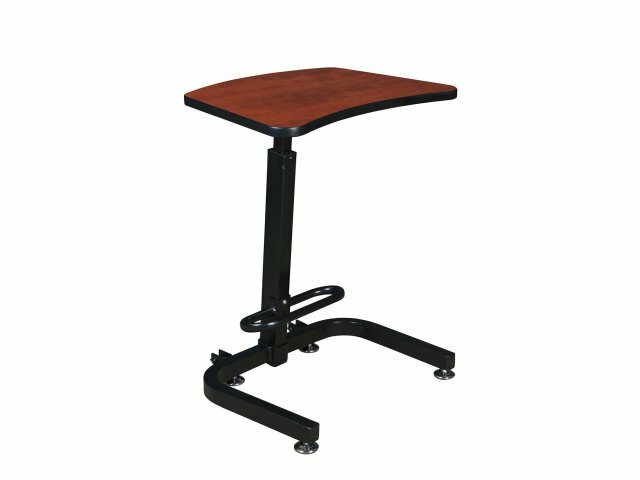 This sit stand desk is designed for comfort. The wide-angle base leaves plenty of open legroom under the work surface, while a footrest provides great support in any position. Adjustable non-skid glides ensure secure positioning, and hidden casters allow for easy transport, when necessary. With a low-maintenance laminate work surface, available in a selection of hues, you can easily match the décor and furniture in your workspace. Smooth Transitions: A lever under the work surface allows you to effortlessly glide from 29-44". Comfortable Positioning: The wide-angle base leaves ample legroom for maximum comfort. Supportive Design: A built-in footrest facilitates varied positions while you work. 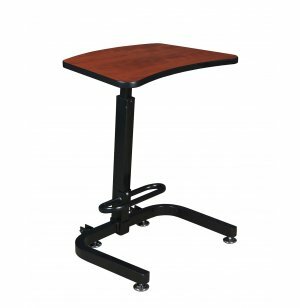 Stable Placement: Adjustable, non-skid glides ensure that your desk stays put. Smooth Rolling: Two hidden casters facilitate smooth transport. Low Maintenance: The scratch and stain-resistant, thermally-fused melamine laminate desktop is easy to clean. Attractive Options: Available in a selection of laminates.